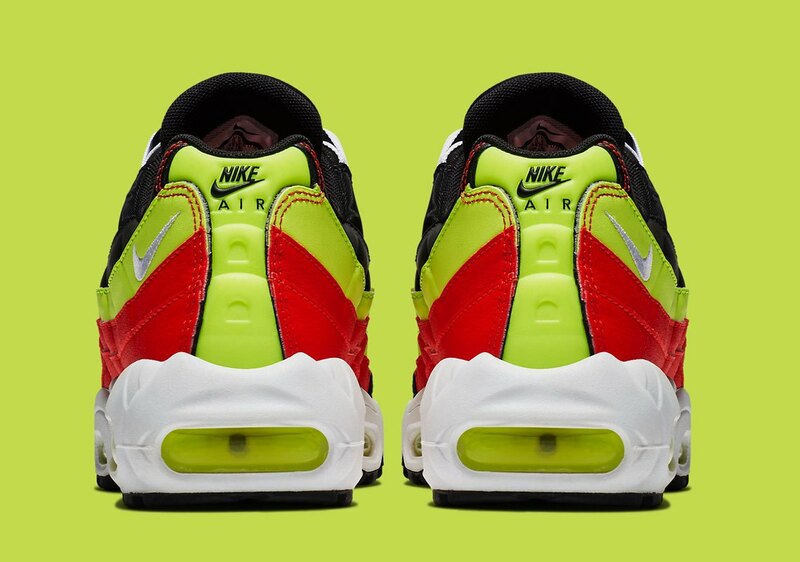 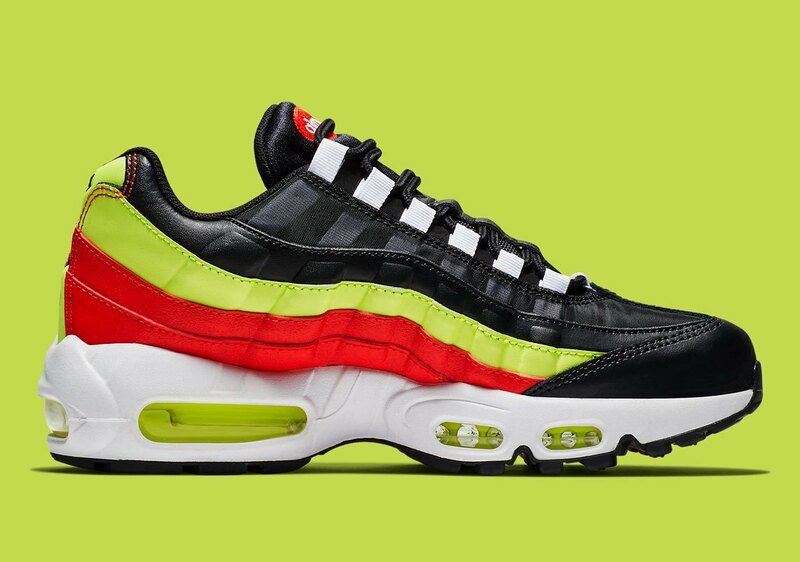 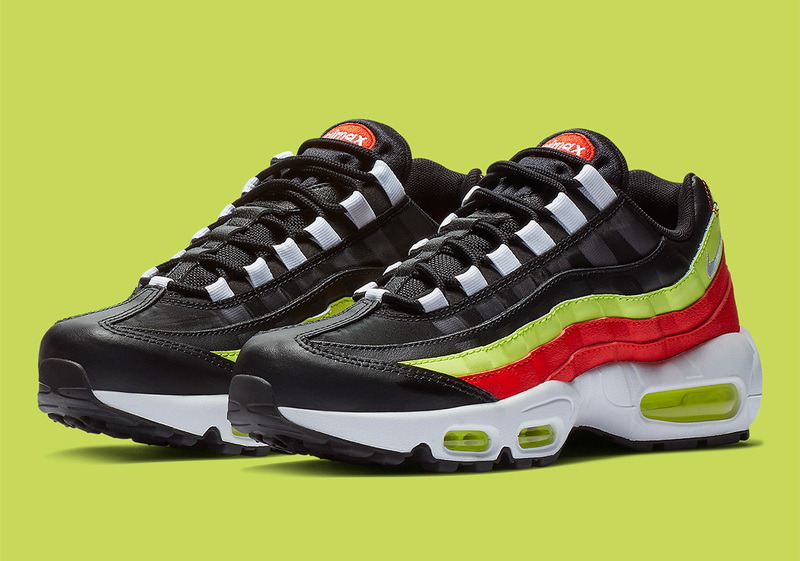 One of the most beloved Nike Air Max 95 colorways is without a doubt the OG “Neon” release, but now the Swoosh has given a major update to the hue by adding even more vibrant additions to the popular pair of kicks. 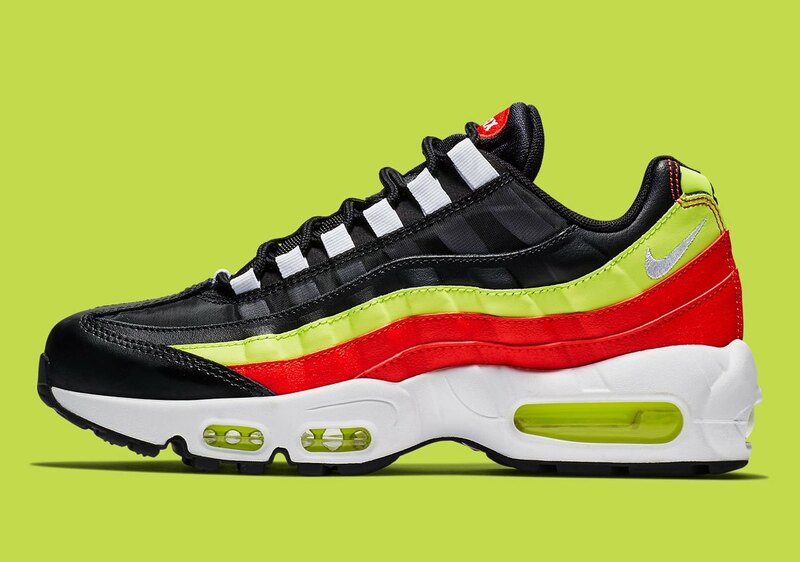 In addition to the neon touches, an equally bold red color is added to the mix to compliment the black and white upper constructed from a handful of new materials. 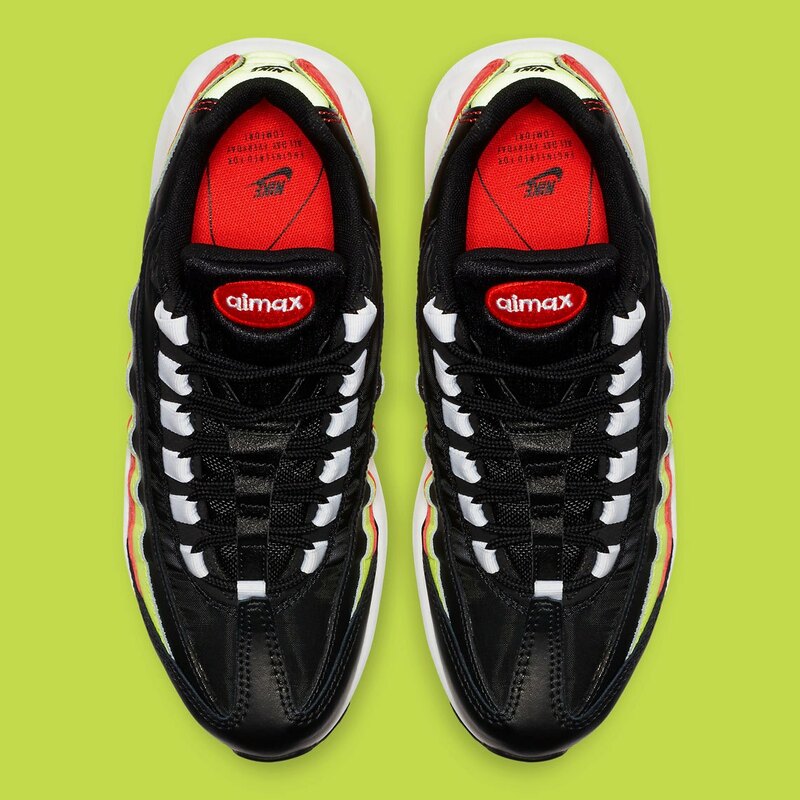 With all four colors spread out evenly throughout the silhouette — crisp white midsole, neon heel and bubble units, red on the insoles for extra effect — this is one shoe that isn’t for everyday wear. 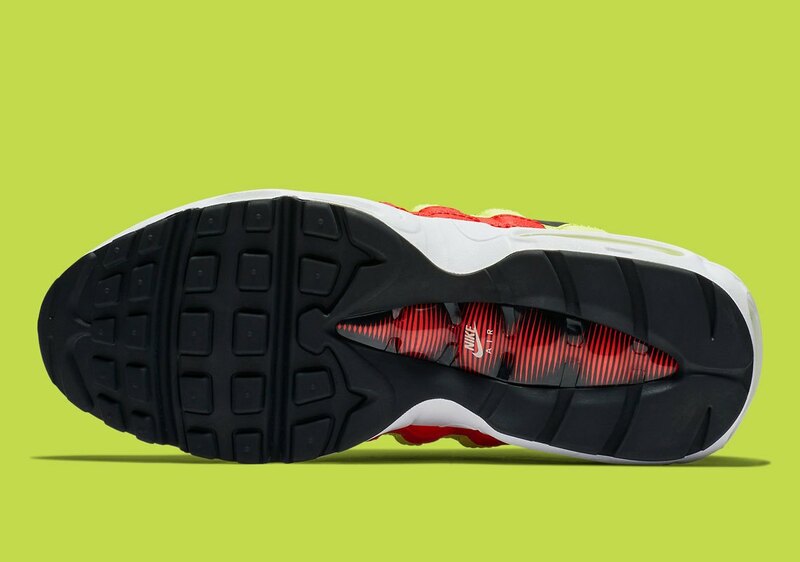 However, when you do decide to step out in these, prepare to turn heads for sure.